After climbing above $1300 an ounce to hit a two-year high last Thursday gold prices have come off the boil and have retreated from the sharp gains made in the last week. Gold prices surged to the highest level since August 2014 in European trade on Thursday, as investors digested the latest monetary policy decisions from the US Federal Reserve and the Bank of Japan. Amid, weeks of senseless speculation about what the Fed was going to do, the central bank kept interest rates unchanged on Wednesday, and also suggested that it was not in a hurry to raise rates over the next couple of years, citing concerns over the economic outlook. The Fed Funds rate is currently sitting at .25-.50 percent. Even if several additional hikes were to take place this year (very unlikely), the Fed Funds rate would still be well below the historical norm. Even with additional hikes, monetary policy is likely to remain very accommodative as global growth concerns weigh and many nations are still fighting sluggish growth with various stimulus measures. Gold prices jumped by almost 2% to $1,311.85 in Asian trading hours after the Federal Reserve lowered its long-term rate outlook. Meanwhile, the Bank of Japan (BoJ) kept its monetary policy unchanged on Thursday even as sluggish global growth and anaemic inflation put policymakers under pressure to do more to reflate the economy out of stagnation, bolstering the yen and battering Tokyo stocks. The yen rallied nearly 2% against the dollar to hit 103.96, the strongest level since August 2014, while the Nikkei plunged 3% following the BoJ’s decision. Prices of the precious metal are up more than 8% so far in June, as market players pushed back expectations for the next U.S. rate hike and amid mounting concerns the U.K. will vote to leave the European Union in a referendum this week. However, latest polls seem to indicate that the UK will remain in the European Union and this put some pressure on gold prices on Monday. This week’s U.K. vote on whether the country stays in or leaves the European Union remains on the front burner of the marketplace. If Brexit were to occur, it could lead to a potential fracturing of the Eurozone and could reverse the longstanding trend of economic integration and cooperation that has been the foundation of policy since World War II. That’s why the global capital markets are becoming so unsettled as the June 23 referendum draws near. This is not a simple story of a proud island nation seeking its self-determination. This, in fact could be the end of an era as we know it, and thus the outcome of the vote will impact on the financial markets. While it is difficult to predict the outcome, when I see so many politicians band together with central bankers and the IMF, I know the correct decision is to do the opposite of what they advocate. Prime Minister David Cameron and business leaders want to maintain the status quo and have warned of dire circumstances if in fact Britain exits. A parade of world leaders, economists and celebrates have taken to the media to get out the message giving the impression that Brexit is the end of life as we know it. It’s the man on the street dealing with the day to day frustrations of policy being dictated by Brussels who is looking to get out. And, since the ruling/financial elite are in favour of the UK remaining in the European Union, I would say that the correct thing to do would be to leave the EU. In this [Bremain] scenario, gold would likely be well supported by a number of outside factors. These include the ratcheting down in the number of anticipated Federal Reserve rate hikes since the beginning of the year, the uneven pace of global economic expansion, uncertainty associated with the US election cycle, and other geopolitical risks not related to the UK vote. These factors may well act to buoy gold regardless of the results of the UK referendum. During May of this year, physical demand for gold saw a significant increase from last year. Sales data compiled by the U.S. Mint shows that a total of 95,000 ounces of gold were sold in May, up more than 206% from 31,000 ounces sold in May 2015. Month-over-month sales were less impressive showing a 24% decline compared to a total of 125,000 ounces sold in April. Looking at the mint’s historical data, May is typically the start of slow season for the market; however, 2016 bucked the trend as this was the strongest May since 2011. 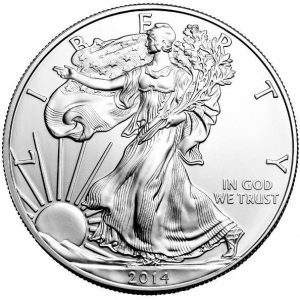 The U.S. Mint has suspended wholesale allocations for one or both metals in 2009, 2011, 2013, 2014 and 2015. 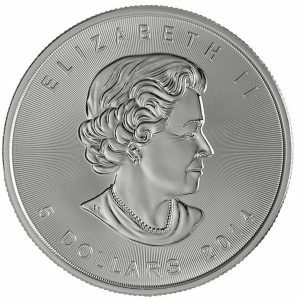 Since the 2008 crisis, there have been numerous stoppages at other national mints in the face of strong, unprecedented investor demand for both gold and silver bullion coins that depleted stocks. 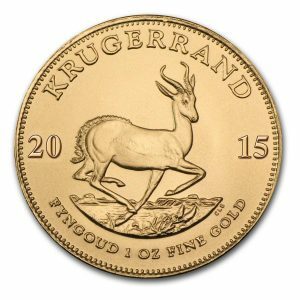 As a result, worries about potential supply disruptions consistently haunt the bullion coin market. Although economic growth is expected to pick up later in the year, the U.S. economy is still expected to struggle as one global economic foundation has reduced its outlook for the third time. The Organization for Economic Cooperation and Development (OECD) recently released its updated economic forecasts for 2016; they expect the U.S. economy to expand by 1.8%, down from its February forecast of 2.0%. The latest projections are well below growth of 2.4% that was seen in 2014 and 2015. Despite the latest downgrade to the world’s largest economy, the OECD kept its global projections unchanged at 3%. The Euro area economy was revised slightly higher to 1.6% from February’s forecast of 1.4%; at the same time Japan’s economy was downgraded to 0.7% from the previous forecast of 0.8%. China’s economic growth was left unchanged at 6.5%. To me this is now clear evidence about the failure of the monetary stimulus programmes of the major central banks. Although the U.S. is expected to see slower economic growth this year, it is not expected to stop the Federal Reserve from raising interest rates. The OECD projects that rates will rise to 1.00% by the end of the year. And, it’s not just the U.S. European markets are reeling under the threat that Britain will quit the EU. Japan’s economy is on life support. Even China is struggling. It seems to me that the world is speeding towards a massive financial crisis, and the smart money is feeing traditional investment markets and desperately seeking safe havens such as physical gold and silver. This is precisely why many analysts are saying that gold is about to quadruple to over $5,000 per ounce … and silver is set to skyrocket nearly ten-fold — to over $150! Despite the recent surge in silver prices, this precious metal remains grossly undervalued. While the price of gold has broken out of a protracted slump and appears set to move higher, silver has failed to keep pace with gold and now appears sharply undervalued. Global economic and geopolitical shocks continue to underpin gold’s breakout and will support higher silver prices. Growing industrial demand and a constrained supply situation will also push silver prices higher. This growth in demand is occurring at a time when miners are cutting back on investment in exploration and mine development because of sharply lower silver prices. 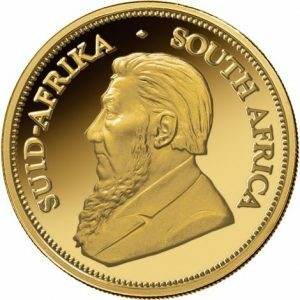 Such cutbacks are not only restricted to primary silver miners but commodities miners in general who are suffering because of the protracted slump in commodities including base metals such as copper and nickel. You see, the majority of silver produced from mining is a by-product of mining for other metals, with 55% coming from the mining of base metals such as copper, lead, and zinc alone. Then another 13% comes from gold mining and the remainder from primary silver miners. The constrained supply situation will take some time to remedy because of the long lead times associated with recommencing production at operations that have been shut down and/or placed on care and maintenance. 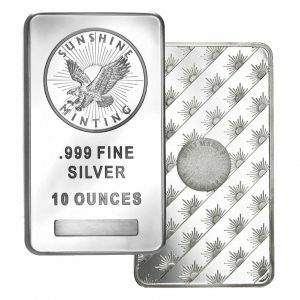 Over the last three years there has been a deficit of physical silver with it reaching as high as 130 million ounces in 2015 as the chart highlights. 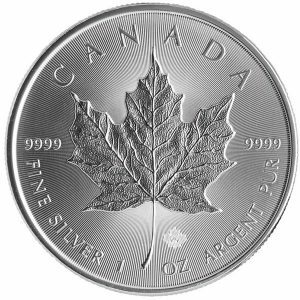 This is expected to continue into 2016 and 2017 which when coupled with growing industrial demand for the foreseeable future should help to drive silver prices higher. Another interesting aspect of this deficit is that silver prices remain depressed, despite silver being in deficit for seven of the last 10 years, and it is this which highlights just how heavily the silver price has been manipulated by the banks. The basic rules of supply and demand dictate that prices should rise during times of supply deficits, yet this clearly has not occurred. 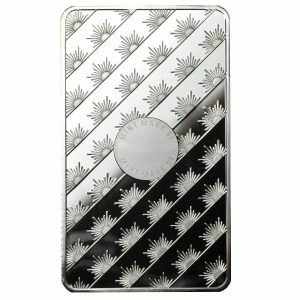 This can be attributed to the tremendous volume of paper silver coupled with the banks mentioned earlier in point 4 openly engaging in price manipulation and suppressing the price of silver for years. 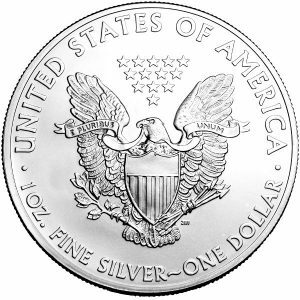 As a result the price of silver can only rise as the effects of the price manipulation decline, with it estimated the silver inventories are primarily comprised of paper silver. Global mine production growth slowed to 2% last year, although it set a record annual total of 27,579t. The copper sector – of which silver is a by-product – was the principal driver behind the total increase, showing a 7% year-on-year output climb. However, price-driven production curtailments in 2015 are starting to impact silver. Silver retail investment and jewellery fabrication hit a record high in 2015 – total physical demand rose to 36,405t (up 3%). Industrial fabrication fell to 588.7 Moz. (18,311t), down 4% from the previous year. Declines in electronics, brazing alloys and solders, and photography were offset to an extent by record-high solar and ethylene oxide catalyst demand. Silver demand for photovoltaic applications rose 23 percent in 2015 to 77.6 Moz. (million oz. ), marking the second consecutive year of increases in this sector, driven by strong growth in Chinese solar panel installations. Increasing demand from these sectors should continue to partly offset weaker industrial fabrication due to a slowdown in global manufacturing. A range of economic shocks and growing global economic and geopolitical uncertainty are helping to support the price of precious metals. A rising gold price can only mean higher silver prices because of their closely correlated relationship. Silver has failed to keep pace with the rise in the value of gold and remains relatively heavily undervalued. 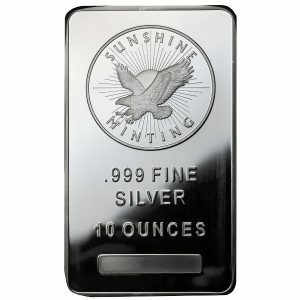 The end of price manipulation and a declining artificial silver market will help to under pin higher prices.